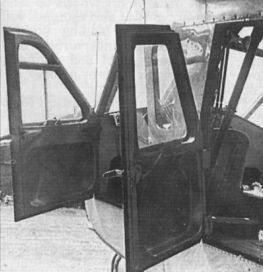 The Aerocar’s cabin roof glazing gave excellent upward vision for the pilot. 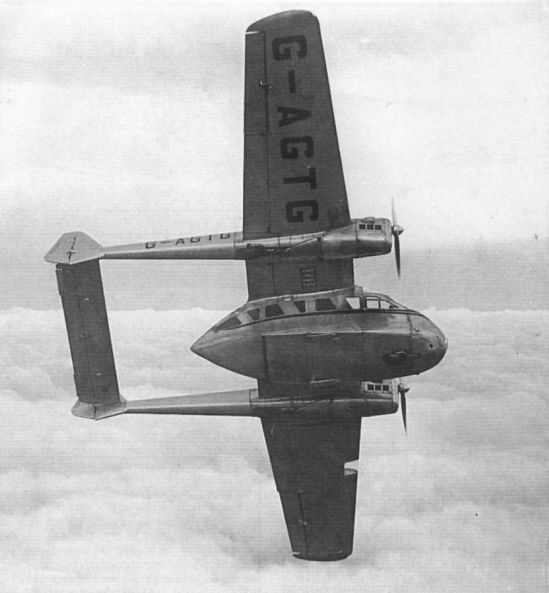 The one and only Portsmouth Aerocar, G-AGTG, was a six-seater built by Portsmouth Aviation at Portsmouth in 1947. 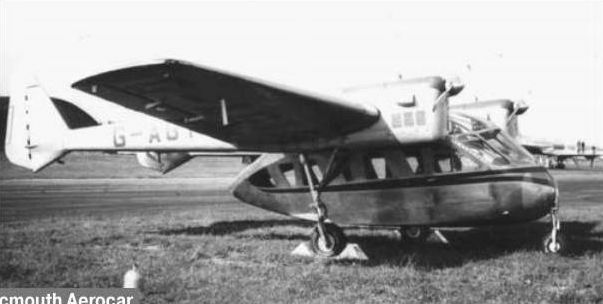 It was powered by two 155 h.p. Cirrus Major IIIs and cruised at 153 m.p.h. 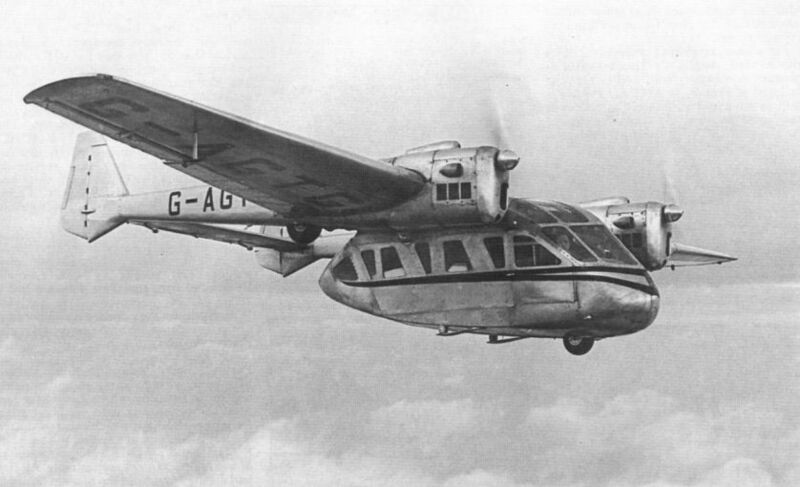 Plans to put the Aerocar into production were abandoned, and the prototype was scrapped in 1950. 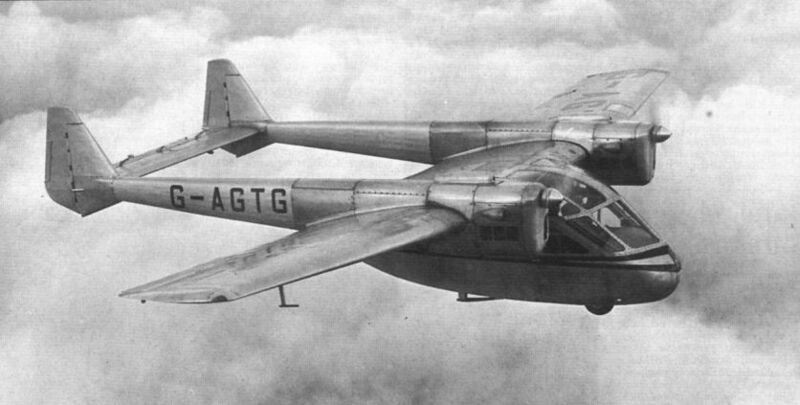 The high wing configuration of the Portsmouth Aerocar gave the pilot and passengers an excellent field of view. 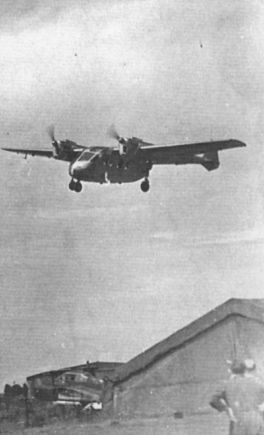 The Aerocar snapped during its maiden flight, on June 18, 1947. Note the Focke-Wulf Fw 189 parked out between the Portsmouth hangars. 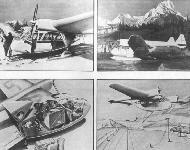 Access to the Aerocar was via two doors on the port side and a single door on the star­board side. 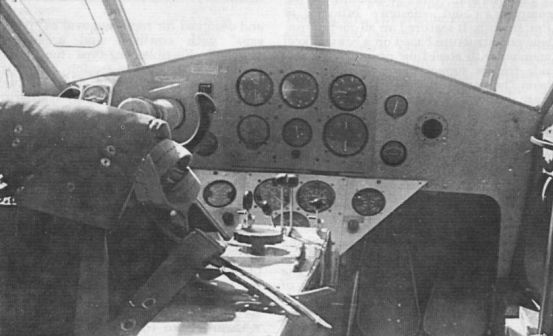 Dual controls would have been fitted to production Aerocars. 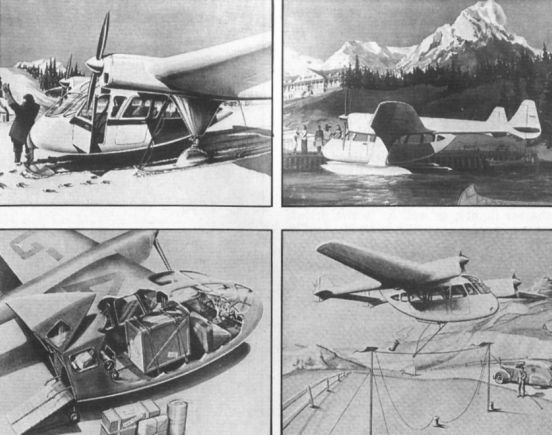 Artist's impressions of Aerocar variants. 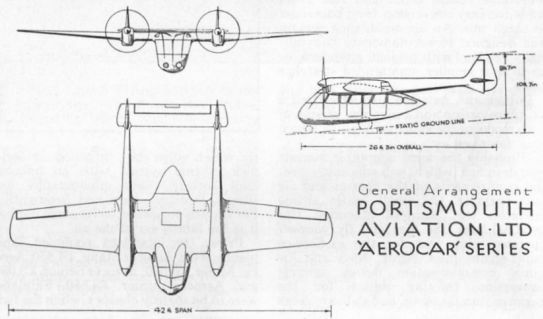 A company general arrangement drawing of the Aerocar.